Inchplant (Tradescantia zebrina): growing, planting, caring. 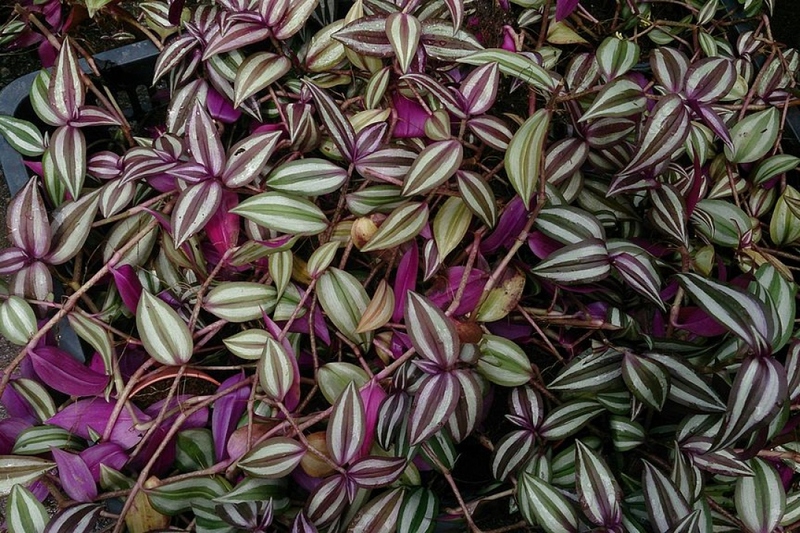 Tradescantia zebrina has attractive zebra-patterned leaves, the upper surface showing purple new growth and green older growth parallel to the central axis, as well as two broad silver-colored stripes on the outer edges, with the lower leaf surface presenting a deep uniform magenta. Alas, it does not support frost, so keep it sheltered.